Cameroon is also referred to as “Little Africa” due to its’ diversity of habitat; rain forest, forest glades with savannah and savannah with bush veld. 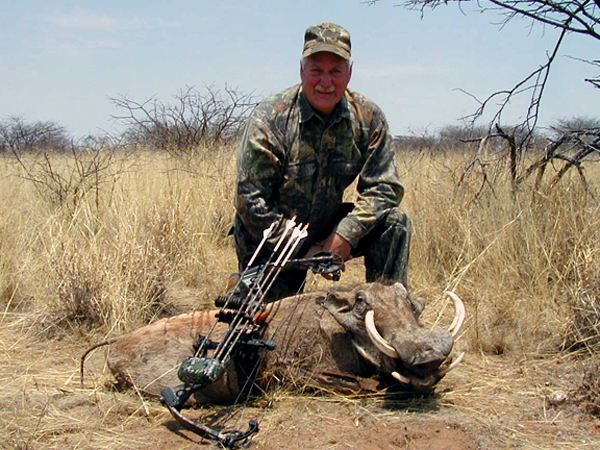 Cameroon, like Central African Republic and Tanzania, is a historically significant hunting destination in Africa. For many decades, French professional hunters, as well as some Italian, Spanish and Belgian professional hunters, led amazing safaris in Cameroon. 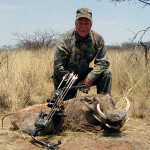 Contributing to Cameroons’ reputation as a prestigious big game hunting country of the former Afrique Equatoriale Francaise (French Equatorial Africa). Today, Cameroon remains one of the most beautiful destinations to hunt in Africa. The political stability of the country assures Cameroon’s reputation as an ideal destination for both hunting and tourism. This is also true for most of the formers French colonies in Western and Central Africa. Due to the French colonial influence many Europeans view Cameroon, as well as Burkina Faso and Benin, as perfect first safari destinations. All hunters are certain to discover the ancient atmosphere of Africa while experiencing the thrill of an authentic fair chase African hunt. There are two major hunting regions in Cameroon, the North and the South/Southeast. The northern terrain consists mostly of savannah with some lightly wooded areas and some dense forest. 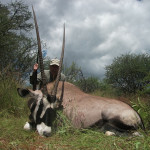 Hunting in northern Cameroon is famous for one of its most sought after species, the Lord Derby Eland. 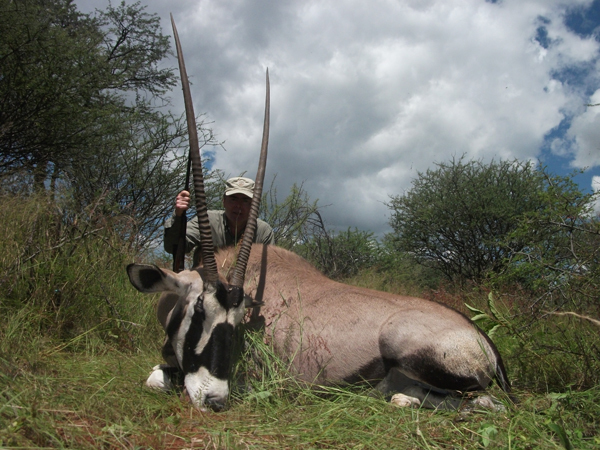 Hunting in Cameroon is also known for its’ large variety of antelopes including Roan Antelope, Western Hartebeest, Buffon’s Kob, Defassa Waterbuck, Bohor Reedbuck, Harnessed Busbuck, Orebi and various varieties of Duikers. West African Savannah Buffalo are found in large numbers, herds of several hundred animals are not uncommon. Lions are hunted but only by tracking, as is the case in all of Western and Central Africa and not with bait as in Eastern Africa. Elephants are also abundant. They do not have long tusks, but hunting them is allowed. Hippos provide yet another hunting opportunity. The neighboring parks and wildlife preserves ensure the continued presence of dense animal populations which migrate freely between the parks, preserves and the hunting areas. Hunting in the Northern part of Cameroon begins with a drive in a 4×4 from the camps then, once in the bush, tracking on foot. The terrain is fairly flat and the hunting is not very physically demanding. As is true for all of West and Central Africa, the large hunting areas in Cameroon are open territories, not fenced. The average hunting concession area is approximately 220,000 acres and is rented and managed by hunting outfitters who are usually French hunting companies and/or French professional hunters and members of the members of the A.C.P. 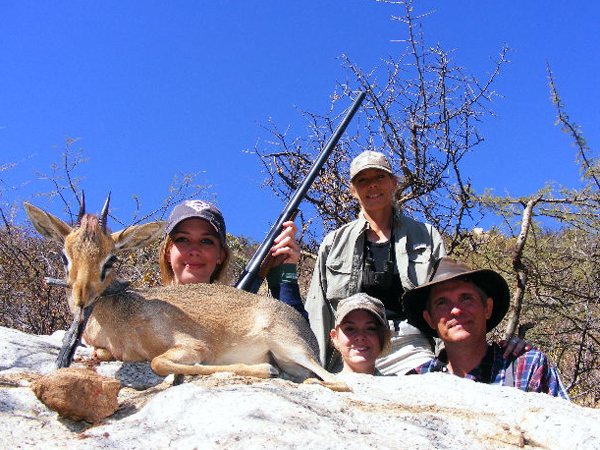 (Association des Chasseurs Professionnels – Association of Professional Hunters). In northern Cameroon the hunting camps are permanent. The bungalows are comfortable and are often air conditioned. In most cases, camps are built along rivers and many of the camps have swimming pools. The French style cuisine is excellent and offers many opportunities to taste the meat of various types of game. In the northern region, hunting areas are accessible by road from Garoua (pronounced ga-roo-ah), capital of the Northern district. The roads are good and the drive is on average 3 to 4 hours. The hunting season runs from mid-December through mid-May. The south and southeast of Cameroon along with neighboring regions in the Congo and the Central African Republic also provide for an excellent hunting experience. These regions are covered with dense rain forest and are home to the Forest Elephant. Hunting Forest Elephant is always very exciting but requires a fair amount of physical exertion. Good physical fitness is recommended. The forest is also home to the magnificent yet stealth Bongo and as with the Forest Elephant, the hunt is usually led by pygmies. The equatorial forest in Cameroon is also home to the Dwarf Forest Buffalo, Western Sitatunga, Giant Forest Hog, Bushpig, Yellow-Backed Duiker, Blue Duiker, Black-Fronted Duiker and the White Bellied Duiker. Rain forest hunting is only done on foot which requires significant physical exertion and should not be undertaken lightly. The hunting camps are generally tent camps, however hunting in the forest also sometimes requires making “flying camps”. As in the northern areas, the southern areas are most often managed by French hunting companies and professional hunters. These are often the same companies that own or operate the areas in the north. In the Southern region, hunting areas are accessible by air from the capital of Cameroon, Yaounde (pronounced ya-oon-dey) and flights average 30 minutes. 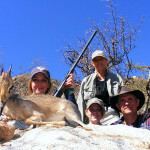 The hunting season in the rain forest areas runs from end of May through end of July. We look forward to helping make your Cameroon hunting adventure the best it can be!